Sometimes individuals are caught up in different situations which may be critical to be attended to. Issues like stress, anxiety, depression or even suffering from a chronic or deadly disease can absolutely affect the normal operation of the body. Apparently, such cases may become quite severe especially if an individual is unable to seek medical attention or counseling so as to control the situation. 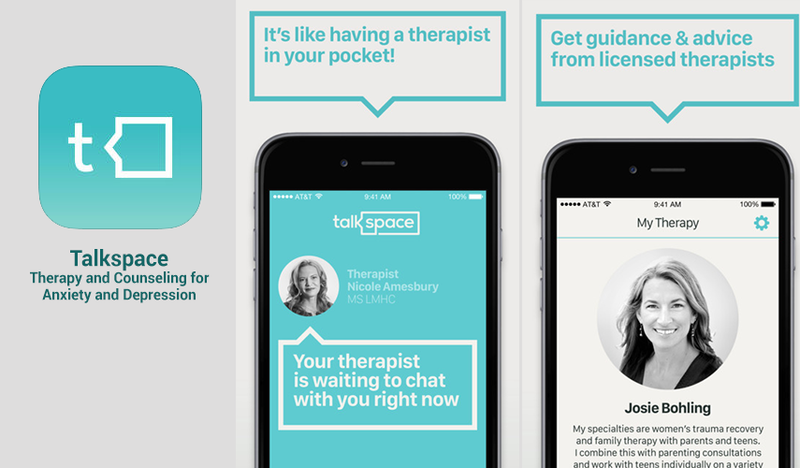 With Talkspace app, an individual can be able to comfortably express the existing situation in a confidential manner and get the needed counseling from qualified therapist. 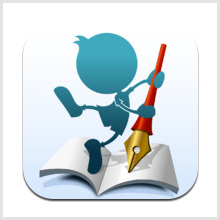 So far, this incredible app has received a 4+ rating from its users who have found it to be user-friendly when it comes to writing out feelings, absolutely affordable and convenient. Indeed, it is worth getting! 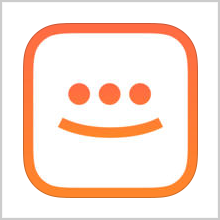 Having been designed by Groop Internet Platform Inc., this great app was recently updated on 20th July, 2016 into version 5.2 in order to improve its performance. Actually, the user will discover that this app has been created to help individual tackle different personal issues with the aid of advice from a qualified and licensed therapist. Whether it is an issue related to marriage, need for motivation, ways to handle stress-related issues, managing depression and even fighting off anxiety, this incredible app will help one out in an amazing way. Interestingly, this platform also provides a platform where an individual can have a private chat either via text, video or audio means. This is achieved in a convenient manner where the user’s privacy is highly safeguarded. This is one of the easiest apps that the user can operate and manage. Actually, after installation, one can try out by getting free consultation on topic relating to the issue. Apparently, this app will first expose the user to a matching agent who will ultimately direct an individual to the best suited therapist. Meanwhile, this app offers an individual a chance to become a member after paying a small fee. Interestingly, this can allow one to access secure and private chat rooms; at this point, an individual can raise any issue that is causing trouble or depriving the peace of mind. The therapist may be available for an agreed period of time to attend to such needs in the best way possible. A lasting solution or a sigh of relief will absolutely be achieved! Since the unveiling of this amazing app, it has indeed exhibited top-notch quality performance which makes it an exceptional tool worth adopting. On the other hand, for it to effectively and consistently meet the intended needs, it requires to operate on high-performing devices. These include iPad, iPod Touch and iPhone. 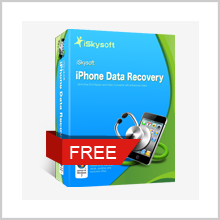 Users will also need to possess iOS 8.0 or any later version of operating system. More than 300 licensed therapist to offer counseling! With such a large number of counselors with varied experience in medical field and psychology, the user will absolutely be served in the best way possible. Some of the areas of focus that the user may be attended to include depression, phobia, anxiety, stress, domestic violence, PTSD, daily life issues, chronic disease management and also LGBTQ matters included. The entire experience is meant to ensure that individual is assisted and guided in a professional manner that is completely satisfying. Highly enhanced safety and confidentiality; no worries at all! This is one of the core features that Talkspace app has taken into account. This is meant to ensure that the users’ confidentiality is highly protected. Besides, the information provided by the user is safeguarded by the highly-encrypted systems that have been adopted by the app. Thus, there is no need to freak out at all when using this incredible app! Apparently, the user will discover that this form of communication is absolutely effective. This is because the user can best express the situation in an extensive manner where the therapist can go through it and come up with a quick and conclusive solution. Meanwhile, the entire chatting session can be quite engaging and mostly the user will be relaxed in the best convenient place. The user will discover that there are great benefits associated with unlimited access services. 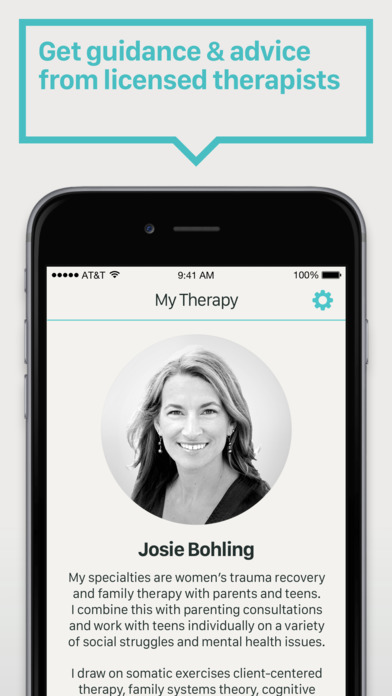 This includes private chats with therapists both in video, audio and text messages after scheduling convenient time. These services are available for $32 only on weekly basis which can be paid at the end of the month. Clearly, such a price is absolutely lower (with about 80%) when compared to doctor’s consultation fees and co-pay charged during hospital visits. 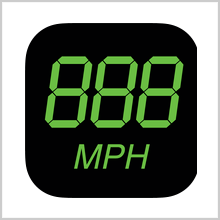 · Fast and quick responses from this app are really encouraging! 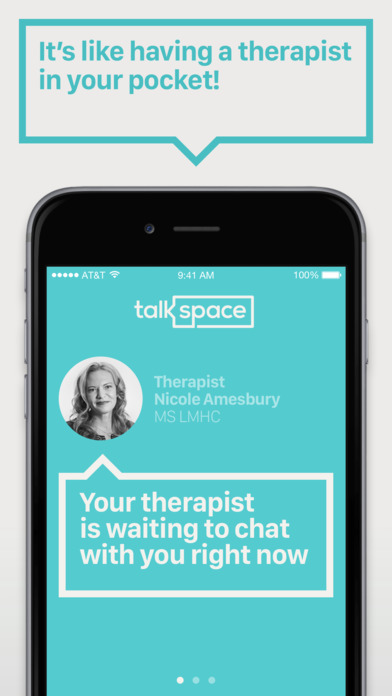 With many individuals suffering from mental illness and not seeking medical services due to some inhibiting factors, Talkspace app has brought great assistance just close to the hand. Its confidentially by keeping users anonymous has highly assisted in helping individuals cope with issues such as depression, stress, stigma and anxiety. It has absolutely removed lots of barriers present in traditional therapy making it a great platform of interaction. Thus, this is a must recommend for anyone undergoing life-related issues. Get it today at App Store for free and embrace life with positivity!